Enthusiastic sales and people leader, offering over 8 years of experience in implementing successful strategies and motivating galvanized teams to produce significant bottom-line results. Distinguished background in recruiting and developing “A Players” to drive revenue across multiple sales organizations. Hunter mentality that thrives in a competitive, high-activity and fast-paced sales marketplace. Aggressively focused on outperforming competitors and driving outstanding sales results through strategy, execution, and urgency. Exemplary communicator with the professionalism needed to develop profitable trustworthy relationships. Adept at designing effective sales strategies to optimize market opportunities. Familiar with utilizing Salesforce software, mobile technology, and social media to develop and manage my business network. Alignment with Fortune 500 organizations has developed a personal brand of integrity, respect, and affluence. • Formulating and executing sales strategies for a team of 8-10 outside sales representatives to drive revenues of human capital management (HCM) products throughout the central New Jersey region. • Generated over $1M in residual annual revenues to ADP in less than 3 1/2 years on quota. • Promoted to Sales Executive in June FY14. • Developed warm leads and prospected accounts by consistently making 75-100 cold-calls per-day to clients, business owners, and "C" Level Executives, from small to Fortune 500 Companies, throughout Central New Jersey and Staten Island, New York. • Acquired 2+ Uniform Rental accounts per week by scheduling 12-15 sales meetings per week. • Leveraged Requirement Based Selling to perform a needs analysis with prospects and clients to obtain the buyer's commitment on the 1st appointment. • Managed production of the hotel’s top 150 domestic and international corporate business travel accounts, making up the top 20% of the market’s total accounts and greater than 60% of the hotel's total business, with revenue valued at over $6M annually. • Increased 2010 first quarter revenue by 16% from $1M to $1.16M by delivering strategic presentations to clients ranging from Human Resources, Travel Managers and Corporate Travel Directors, up to C-Suite Executives, through direct marketing campaigns, executive consultations, and new account acquisitions. • Enrolled 20 new companies into the Hyatt Global Company Travel Program by regularly calling on 50-60 accounts per-week and coordinating with multiple points of contact and budgets within their organizations. 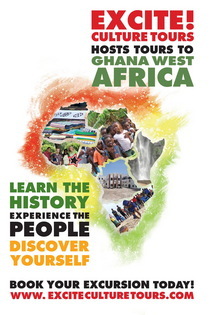 • Executed international business development and sales strategies by facilitating presentations for potential travelers/organizations in order to maximize corporate initiatives. • Determined the financial viability and return-on-investment of suggested marketing initiatives/campaigns. • Analyzed the company’s current marketing campaign to determine its strengths and weaknesses. • Offered recommendations to improve marketing strategies and brand recognition of the products/services. • Managed the Greater Princeton sales territory and Doubletree online marketing strategy, improving account acquisition, local brand recognition, profitability and customer satisfaction. • Developed clientele of university organizations, associations and departments by making 25-30 cold-calls per-day. • Established Doubletree online marketing strategy; increasing web traffic and promotional awareness at Rutgers University, Princeton University, Rider University and The College of New Jersey. • Produced monthly reports and analysis communicating selected financial data to Senior Management; such as reconciliation of the accrual, bank and petty cash accounts, and analysis of the aging and blocked inventory. • Analyzed, prepared and submitted weekly freight invoice postings on SAP, daily overtime at plant, quarterly SEC filings and the annual report. • Supported Senior Client Services Officer in the delivery of services between the mutual fund servicing departments and institutional clients. • Monitored/communicated all trades and fails to the investment management firm. • Reconciled Mutual Fund Custody’s activity to that of Accounting’s books and records. • Reviewed the credit worthiness of over 10 applicants per week. • Rendered decisions on loans worth up to $1M. Composed PowerPoint presentation, performed SWOT analysis and designed a commercial to market case study product. Managed production of the hotel’s top 150 domestic and international corporate business travel accounts. Increased 2010 first quarter revenue by 16% from $1M to $1.16M. 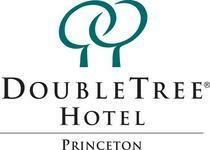 Used viral marketing to direct traffic to Doubletree Hotel Princeton website and premises, in order to increase brand recognition and corporate awareness. Developed leads and accounts by consistently making 75-100 cold-calls per-day on candidates and "C" Level Executives, from small to Fortune 500 Companies, in Central New Jersey and Staten Island, New York. Executed international business development and sales strategies by facilitating presentations for potential travelers/organizations in order to maximize corporate initiatives. Recognized for academic excellence and civic performance during tenure at Rutgers University.